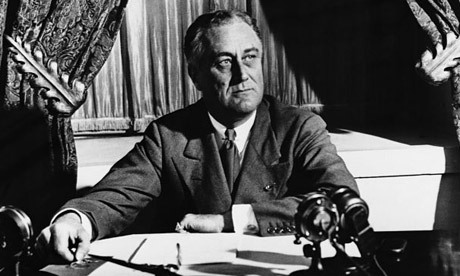 FDR’s Warning of the Tyranny of Economic Royalists in the U.S. In June of 1936, with Fascism on the rise in Europe, the man who is generally regarded as the second greatest president in the history of the United States gave one of the greatest speeches ever given in this country. In that speech Franklin Delano Roosevelt warned his countrymen, not of external dangers, but of the internal dangers to our country from what he called “economic royalists”. I came across this speech for the first time a few days ago, and I was astounded both by how pertinent it is to the grave challenges that we face today and how closely FDR’s “economic royalists” resemble today’s Republican Party, except that FDR did not speak of the moral bankruptcy of the subjects of his speech.